Creating a killer website, writing awesome content, and being present on social networks is important. However, if your online channels don’t generate leads, then you’ll most likely fail. Your leads are people who consider you relevant enough to give you their email address. Most importantly, they’re your future customers or even brand ambassadors. But, how to inspire a visitor that already receives a bunch of spammy branded emails every day to leave you their email address? This process is even more complicated if you’re a franchise business, constantly finding the balance between adapting marketing efforts to local marketing and preserving a recognizable brand image. 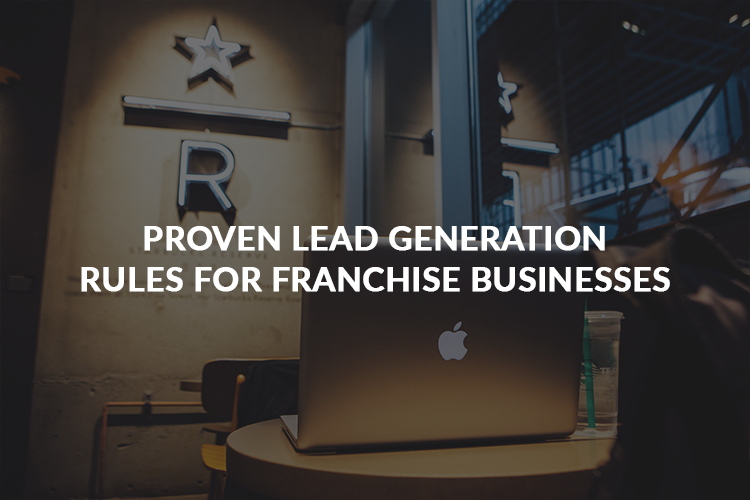 Here are a few tips that will help you boost your franchise lead generation strategy. The differences between single-location businesses and franchises go beyond the number of stores. Simply put, a franchise is an authoritative company that lands their name, logo, reputation, and support to a franchisee (a local business owner that buys into the franchise). For instance, KFC is a large franchise business and each of their branches is owned by different owners who bought their franchise license. This definition is key to understanding the difference between a regular marketing strategy and multi-location one. When building your franchise marketing strategy, you need to think locally. In other words, you need to build a separate promotion plan that caters to each of your locations. On the other hand, these local marketing tactics shouldn’t hurt your overall brand image. Include strong, locally-relevant CTAs that will inspire a visitor to give you their email. Use the same form design on all microsites. Most importantly, optimize them properly. For starters, keep them short and make sure they’re mobile-friendly. Encourage customers to write reviews and testimonials. Of course, to do so, they first need to give you their data. A/B test everything, from your headlines to the position of your testimonials to see what practices generate more leads and focus on them. Content marketing puts you in front of the right people, engages them, and builds trust with them. Most importantly, it helps you generate leads. For starters, create exclusive, gated content that will help you collect your customer information effortlessly. You could even link to your webinar or an interactive quiz right in your content to engage people and collect their email addresses. However, in the world of franchise marketing, creating a solid content marketing strategy is not easy. I’ve already mentioned the branding issues both franchisors and franchisees face. For you as a franchisor, this means encouraging franchisees to create awesome localized content. At the same time, you need to get them to stay on-brand. This is where brand guidelines shine. Namely, there are certain aspects of your content creation strategy that need to be used consistently across multiple locations, such as your voice and messaging, using images, or your logo and colors. You should also set clear rules for some additional aspects of your content marketing, such as the blogging frequency, content marketing metrics to use, the content creation/social media tool to use, and so on. Email marketing is one of the oldest and yet most effective lead generation strategies. Almost 60% of marketers state that email drives the highest ROI. Moreover, email produces a 4400% ROI, returning $44 for every dollar you spend. Most importantly, it’s your powerful choice when it comes to lead generation. By sending relevant newsletters, adding prominent social media buttons and creating powerful CTAs to your emails, you will. However, as a franchise business, you will face some additional complexities when it comes to email marketing. To get the most out of this strategy, you need to need to empower franchisees to adapt their emails to their local recipients’ needs, but still provide on-brand user experiences. Set up the account permissions that would give the right people access to the right tools. Ensure that every marketer involved in your email marketing strategy understands their roles and responsibilities. Create shareable templates to boost the consistency of your emails and deliver cohesive user experiences. Franchisees, on the other hand, understand local customers better. That’s why they need to participate in your lead generation strategy. They should give audience insights, help you create better buyer personas, and adapt your email marketing strategy to their local customers’ expectations. By catering to each business location individually and using email targeting to send your emails to the right people, you will not only generate more qualified leads and boost your open rates, but also deliver highly personalized user experiences. The majority of your customers are on social networks, so you should be there, too. Encouraging customers to review your business, participate in the giveaway, or download an exclusive video are all great ways to engage customers and collect their email addresses. Not to mention great options, like Twitter Lead Generation Cards that get your customers to leave their email address in exchange for a free trial or deal. However, social media marketing is different for franchise businesses. Namely, as a franchise business, you need to create separate pages for each location and, at the same time, keep your branding efforts consistent. The rules are similar to what we already discussed above. First, create solid social media guidelines for your local social media managers. These rules should address every aspect of your social presence, from the KPIs to measure and the publishing frequency to the brand voice, use of visuals, and the implementation of your brand assets. However, don’t forget to include your franchisees in the content creation process. Knowing more about your customers, they will provide better customer services and drive more leads to you. You just need to make sure they follow your guidelines during their social media interactions to preserve your brand’s image. One of the greatest things about running a franchise is that you have an impressively wide customer base. However, to harness the power of your business promotion, you cannot create a uniform PPC strategy and stick to it. Instead, you need to provide people in different geographical areas with the content and offers relevant to them. Reach- shows you how many people would potentially see your ads for a selected region. Bulk locations- let you add or exclude up to 1000 locations in bulk. These locations need to be in the same country. Adding negative keywords- this is incredibly important for franchisees. Negative keywords prevent your local branches’ ads from showing up for irrelevant keywords. Using geo-targeting will help your local customers see your business locations closest to them. As a result, you will generate more qualified traffic to your site and have a chance to turn them into leads and, preferably, customers. Generating quality leads requires you to invest lots of effort and time into building relationships with your target audience. 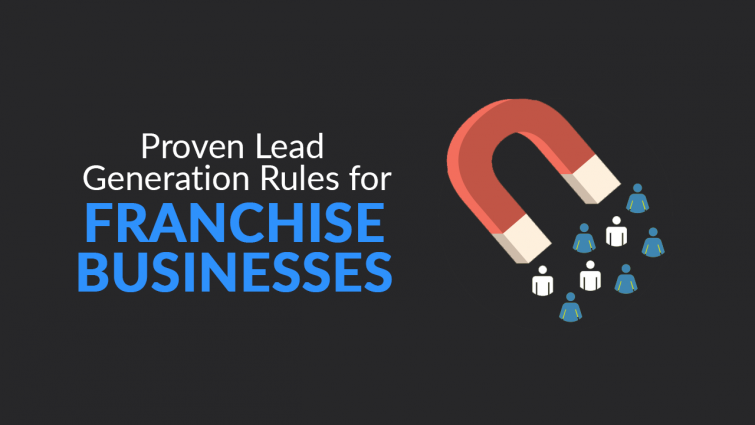 And, for franchise businesses, this process is even more complex. To cater to your local audiences and yet, maintain your brand consistency, create clear guidelines and do regular audits to see whether you’re making progress as expected. I hope these tips will help you get your lead gen strategy off the ground! 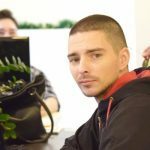 Raul is the editor in chief at Technivorz blog. He has a lot to say about innovations in all aspects of digital technology and online marketing. You can find him on Twitter and Facebook.